We attended the annual Canadian Digestive Health Foundation Summit for health professionals to get the latest updates on this exiting area of research. There is so much to learn about the human microbiome which is the collection of microbes – bacteria, viruses, and single-cell eukaryotes – that inhabits the human body. Did you know that microbes in your body outnumber your human cells by a ratio of ten to one? Research is mounting on this newly recognized inner body ecosystem of microorganisms that appear to impact much more than just your digestive tract. Bacteria establish themselves in the body early in life and once they’ve ‘moved in’ they tend to stay for the duration of a person’s life. You may wonder what these 8 million microbial genes are doing in our body. In a fascinating overview we heard researchers describe the diversity of microbial communities which inhabit the human gut and the unique ways in which they interact with our body and other bacteria. For example, our microbiomes have a role in energy metabolism, including fat, carbohydrate and protein breakdown. Bacteria influence gut health, help protect you from food-borne illnesses and play an important role in immune function. An exciting area of research is understanding the differing composition of gut bacteria in obese vs lean people and how microbes influence how much energy we burn and how much fat we store. Not only is a healthy and diverse bacterial flora linked to good gut health but now researchers are starting to understand the gut – brain interaction as well.? ?Keeping your gut flora healthy with a diverse ‘friendly ‘ bacteria may help keep out disease-causing microbes and make you less susceptible to gastrointestinal infections and bowel ailments such as irritable bowel syndrome (IBS), inflammatory bowel disease (IBD). Watch for more news on this topic as scientists work to understand the role or probiotics in the prevention and treatment of human diseases. Choose foods that contain probiotics (live friendly bacteria) such as fermented dairy (yogurt, kefir) and fermented vegetables. 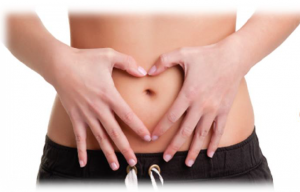 Include prebiotics that are a source of fibre such as whole grains, fruit, vegetables, beans and legumes. Practice a healthy lifestyle and exercise regularly.